Theresa May touched down in Belfast for the second time in 10 weeks with a clear mission in mind: to repair any bridges she burned when she about-turned on her backstop commitments. The embattled Tory leader has been preoccupied with healing the rifts in her own party of late. But on a grey and wet day in Belfast, she began her efforts to reach out to those north and south of the Border who have been left with deep anxiety and a sour taste in their mouths following the latest developments in Westminster. She thanked those in Northern Ireland for rallying around her deal. “They defended the backstop. I know that wasn’t an easy thing to do and I am grateful to them for doing so,” Mrs May said. She asked them to do the same again around her new strategy, but was unable to spell out what that strategy was. There was talk of alternative arrangements but nothing of substance; technology and more discussions – and she stumbled slightly over her words when explaining the genesis of the backstop. 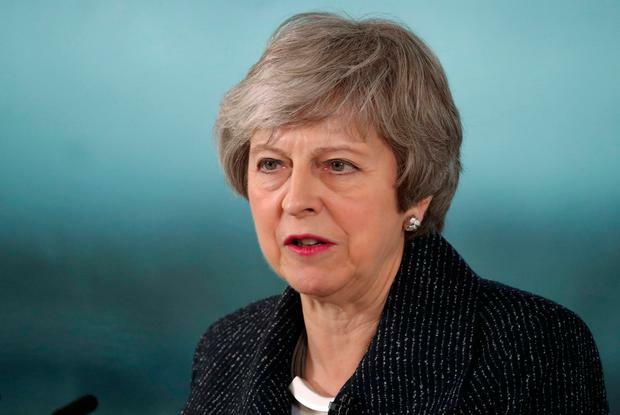 The room was filled with business leaders whose sentiment may have been summed up by one journalist who suggested to the prime minister that they likely felt “betrayed and shafted” after her “U-turn”. Mrs May was keen to point out her change of heart was not a U-turn, there would be a backstop – just not this one. The tepid applause that followed her speech suggested her sentiment, while welcome, may not have rallied those in the room around her in the way she would have hoped. It was, it would seem, a case of once bitten, twice shy for those in Northern Ireland who had bought into her determination to deliver the deal only then to step away from it. She listed off several ways she plans to build deeper links between the two countries, name-checking everything from dialogue between young people to a “tantalising” joint World Cup bid. Mrs May recalled the “poignant” ceremony attended by Prince William and former Taoiseach Enda Kenny commemorating the soldiers who fought in World War I. She was speaking at a venue that her counterpart Leo Varadkar would likely have been partial to: a slick and modern office at the waterside, home to tech company Allstate Northern Ireland. But while she was discussing her desire to work closely with Mr Varadkar, there are no plans for the pair to meet in the coming days.